Whether you’re just getting started as a content marketer or you’re ready to take your practice to the next level, you need reliable resources. 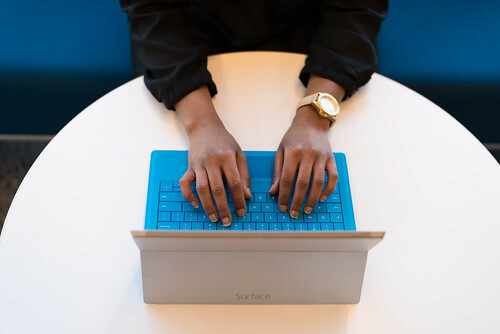 Dive into seven helpful resources for content marketers that will help you learn the ropes, grow your knowledge, and connect with other industry professionals. For nearly a decade, CopyPress has provided comprehensive content marketing services for businesses of all sizes in a wide range of industries. CopyPress specializes in helping clients tell compelling stories and provides everything from content strategy and ideation to content creation and promotion. CopyPress offers a full suite of resources ranging from how-to guides and webinars to white papers and case studies that can help you understand how, why, and when to tackle content marketing. 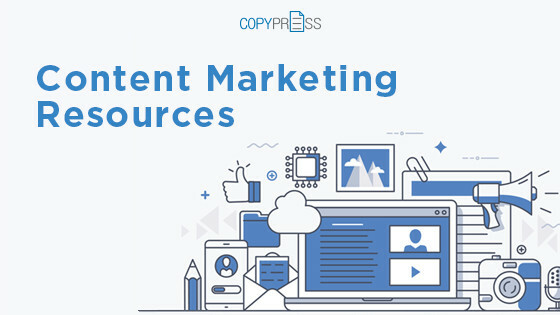 To access this treasure trove, navigate to CopyPress’s content marketing resources section and start browsing white papers on scaling content and creating effective headlines or webinars on curating content and creating style guides. If you’re interested in the nuts and bolts of content marketing, you’ll also appreciate the case studies that analyze the strategies of major brands like Groupon and Hipmunk. One of the oldest digital marketing companies, HubSpot is still going strong nearly 15 years after its initial launch. HubSpot specializes in inbound marketing, offering a suite of applications that content marketers can use to generate leads, drive sales, and manage contact lists. This service also produces key resources and guides for digital marketers in a variety of niches. If you’re just starting out with content marketing or if you’re branching out into a new niche, you’ll appreciate HubSpot’s array of templates and tools. Whether you need to know how to create great-looking blog posts, develop effective marketing emails, or even write an ebook, you’ll find the resources you need via HubSpot. To access these assets, go to Hubspot’s marketing resources library and start browsing. Note that you’ll need to opt in to download most resources. Kissmetrics produces digital tools essential for understanding audiences, tracking metrics, and improving results. Content marketers who want to improve audience engagement, target specific types of users, and understand how and why customers behave certain ways will find Kissmetrics’ tools invaluable. Whether or not you’re a Kissmetrics customer, you can access the service’s guides to digital marketing. While some of the guides focus on Kissmetrics’ products, others cover more general topics, such as marketing for e-commerce companies, learning the basics of search engine marketing (SEM), understanding software as a service (SaaS) metrics, and developing marketing funnels. To start perusing these guides, navigate to Kissmetrics’ marketing guides and start reading. Most guides are available without additional opt-ins, although you may find it helpful to subscribe to stay on top of new content. Since 2003, Search Engine Journal has worked hard to build a community of digital marketers. Unlike many other companies in this sphere, Search Engine Journal doesn’t produce software or offer search engine optimization (SEO) services. Instead, the company publishes a large volume of blog posts, white papers, ebooks, white papers, and other types of content on a daily basis, all with a focus on digital marketing. While Search Engine Journal delves into topics ranging from SEO to social media marketing (SMM) to entrepreneurship, one of its specialty areas is content marketing. Navigate to Search Engine Journal’s content marketing 101 page to learn the basics from a variety of perspectives. From gathering the right tools and creating high-level content to accelerating content creation and devising effective strategies for small businesses, this resources page features countless important articles. Similar to Search Engine Journal, Content Marketing Institute doesn’t develop software or sell copywriting services. Instead, this company publishes articles, podcasts, high-level content, and even a magazine, all focusing on content marketing. When you’re just starting to hone your skills as a copywriter, Content Marketing Institute is a great place to begin. Navigate to Content Marketing Institute’s resources page, and you’ll find a list of key articles on getting started with content marketing and creating a blueprint for your content strategy. You can also access templates for content creation, SMM, influencer partnerships, and other key aspects of your marketing strategy. Moz has paved the way for SEO mastery since 2004. Nearly 15 years later, Moz produces some of the most popular SEO products on the market. From all-in-one SEO toolkits to local SEO services, Moz helps businesses improve their search rankings, increase traffic, and build their customer bases. The Moz team also works hard to ensure that content marketers understand how SEO works and how best practices evolve. Whether you do content strategy and ideation or you need to know how to make the most of keywords and link building, you’ll benefit from these SEO guides. Go to Moz’s Beginner’s Guide to SEO and start making your way through the 10 chapters. If you’re new to SEO, you’ll want to start with the first chapter on search engine basics, but if you’re relatively experienced, you can skip ahead to chapters on keyword research and tracking success. SEMrush specializes in search engine marketing and offers a suite of services and tools to help markets improve their strategies and achieve better results. The company’s best tools focus on researching the competition to understand how other companies advertise, use keywords, and build backlinks. While SEMrush hosts an active blog with daily posts on SEM and digital marketing, the company’s most unique resource is its weekly Twitter chat. This moderated chat takes place every Wednesday and always focuses on a topic that’s relevant to content marketers. This is a smart opportunity to gain insight from key industry figures and share your own content marketing expertise. You can also search for #SEMrushchat on Twitter to review past chats or look for weekly recaps on SEMrush’s blog. No matter where you are in your content marketing career, there are always new skills to hone and niches to master. Use these essential resources to take your content marketing knowledge to the next level. Attract, Engage, Convert, and Delight: How to Create Content for Each Stage of the Buyer’s Journey Why Outsource Your Content Marketing?